Are you trying to find out more about Nootropics? Ever since Tim wrote that piece about Onnit, the topic has definitely grabbed my attention. So, I decided to do a little more digging about this, especially since with the type of work I do, I need some type of edge to help my focus and concentration. By the way, if you already know what’s going on with this stuff and just want to get right to the specific products and brief reviews of some of our favorite companies producing what we think are the highest quality Nootropics supplements, that’s totally cool – just click here to head down the page to the section about our personal recommendations. So, when the health food and supplement industries hype a product, we all should still conduct our own research. I rarely take the brand CEO’s word for the significance of a product, no matter how tempting it is to believe what he or she says. That goes for miracle cures, weight loss products, and nootropics as for anything else. Nootropics are hot right now, but should we be as enamored with them as we seem to be? I have to say that I personally use some of these supplements – but I’ll do my best to be an objective reporter here. Health agencies warn that our sedentary, high-sugar lives are hurting our brains. Rates of Dementia and Alzheimer’s Disease are on the rise. We all know what that looks like: not just forgetting what we ate for breakfast but forgetting people we know, forgetting to turn off the stove, forgetting to eat. Westerners see these symptoms in loved ones and fear the same is in store for them. It doesn’t help that a lot of press is devoted to the topic, and rightly so. We need to know the facts. There are also many studies which show an increase in cases of autism and learning disorders. Whether this is simply because of heightened awareness, sometimes being too eager to classify in cases where kids might just be acting out, or a true rise in these figures is difficult to say. Whatever the case is, mothers and fathers with children who are genuinely struggling don’t care if they are one in a hundred or one in a thousand; they just want help and would prefer not to give their kids powerful drugs. Health food and supplements have to do something, don’t they? Now On To Nootropics: What ARE They? These are natural and synthetic supplements said to improve brain health and function. They are essentially what the movie Limitless is based off of. They include natural plant remedies, vitamins and minerals, and also some fancy drinks which are said to stimulate the brain without making a person jittery. Some are drugs designed to help a person stay awake during late night shifts and to help people with narcolepsy (falling asleep suddenly) lead full lives. The best known and most readily accessible nootropic is caffeine, available in coffee and in supplement form. Certain B vitamins, magnesium, and l-theanine are said to promote focus. Research, however, is undecided yet. More work needs to be done in order to prove their worthiness. As far as those available by prescription, one I have heard of, during a talk by Mindvalley on Bio-Hacking, is Modafinil. The guy who invented Bulletproof Coffee (which I’ve used and like a lot – see it here on Amazon) and Bulletproof Brain Octane Oil was talking about it, and that is one of the kinds I have otherwise heard of in articles etc. Shoppers willing to try anything tend to behave as though, if it’s safe, they’re willing to try almost anything. All they have to lose is money and hope. Nootropics allegedly improve memory and enhance mental agility. Science says this is possible but not proven. Can anything be as good as just getting off of the couch, turning off electronic devices, picking up new hobbies? On a side note, some people have expressed concern about whether or not Nootropics can be addictive. The reason why people are worried about them being addictive is because they have the ability to help enhance wakefulness, motivation, focus, memory, learning, attention, mood, anxiety, and so much more. You’ll be able to improve in all of these areas and for some bizarre reason people have equated this to abusing cocaine or speed. This is a fair question. And this makes a lot of sense because people have a tendency to get burned by supplement sellers all the time. Some of these sellers promise the world and deliver nothing but false promises and terrible results. The supplements may have many people skeptical when they first hear about them, but firsthand experience can tell you that they have a positive impact on your overall brain chemistry. Maybe the research community still needs to do some work on this to get clinically proven stats, but there does seem to be enough anecdotal evidence that this stuff works. One trip over to any of the nootropic supplement reviews on Amazon will show you plenty of reviews – the majority of them 4 and 5 star reviews – that are pretty darned convincing. Plus the fact that they are from verified buyers means even more. The only way you’re ever going to know if they work for you is if you actually give them a try. You can go back and forth all day long deliberating as to whether or not you should actually try them to see if they work. Or you can find a product with an excellent money back guarantee, try them out for yourself, see that they absolutely work and then realize that this is one of the best investments you’ve ever made. Again, we’ll share the names and a brief review about our favorite Nootropics so that you don’t even have to do any of the legwork if you do not want to. We make this very easy for our readers as you are about to learn. Some Different Nicknames for Nootropics. 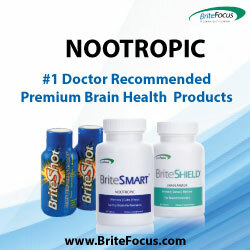 You’ll hear nootropics referred to by a number of popular nicknames and/or categories: mood brighteners, neuro enhancers, brain supplements, brain drugs, study aids, noots, brain pills, cognitive enhancers, memory enhancers, smart drugs, intelligence enhancers, and a few more. Brain protection – not only are Nootropics said to have brain enhancing abilities, but they are also said to have the ability to protect the brain against chemical and physical injuries if they were to ever occur. Memory – these are purported to have the ability to enhance memory. And even though I’m no longer in school, it’s said that these supplements can also help you do better in school and experience better focus at work, and help you think more clearly. Resistance – Nootropics can also create a measure of resistance against conditions that have the ability to disrupt learned behaviors. Very few side effects – these substances thus far have very few documented side effects, and based on the information that I have read, none of them are very severe. We will go into a full list of potential side effects in the next section. Clearly, nobody ever hopes to suffer from any side effects when taking prescribed drugs or over-the-counter supplements. But the potential side effects are real and people have been known to experience them from time to time. This is not something that you will hear about often, although it wouldn’t be responsible of us if we chose to ignore the possible side effects. We want our readers to know and trust the information that we share, so providing info on potential side effects is important and we want you to know about them. As mentioned a number of times, after many weeks of research, we have discovered Nootropics supplements that we feel are the best based on a number of different criteria. For starters, I’m only including supplements that have excellent ratings, apparent real-world results, and many happy customers. BriteFocus seems to be one of the best over-the-counter brands available. In particular, this group of supplements focuses on helping those suffering from conditions related to the aging process. They were specifically designed for brain health support, and for individuals getting older, the supplements are fully capable of helping them improve short-term memory, mental acuity, focus, clarity, and other signs of aging. Are you beginning to suffer from the mental signs of aging? The products under the Brite Focus banner could be what you’re looking for. Please visit the main website here and learn about the excellent products that can help you win the war against mental deterioration caused by aging. This supplement is one of the most powerful and popular Nootropics currently available today. We love recommending this supplement to every one of our readers because it is so potent and it provides a wide variety of benefits that everyone should hope to experience. Before sharing the benefits, please understand that Nitrovit is more than your average and ordinary supplement. Are you looking to improve your cognitive performance? It could definitely help and give you an edge. Are you looking to experience concentration, clarity, and mental focus? Then this is the supplement for you. If you’re ready to give Nitrovit a try CLICK HERE to visit their official site. You’re going to love all of the amazing benefits that you’re experiencing. Have you ever desired to feel limitless? Have you ever hoped to overcome the barriers that seem to hold you back? Are you looking for a nootropic stack that tackles more than one aspect of mental clarity? 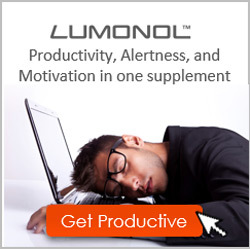 Lumonol is the supplement to try if you are trying to blast through mental barriers that have been slowing you down. To bust through mental barriers, please give Lumonol a try today: CLICK HERE to visit Lumonol. For those people suffering from the deleterious effects of aging, or even if you are younger and need a boost to break through mental barriers, using Nootropics will definitely help improve your life. Do yourself and your family a huge favor and try any of the supplements that we’ve recommended today. Your life will change for the better and you’ll appreciate the long-term improvements as you start leading a happier and more productive life.